"Then we got into the city and reality started to set in. The reports aren’t fake news. It’s all quite true." Seattle now has tiniest apartments in US. Since 2008 (capitalism’s crash), average US apartment rents up 28% while average size fell 5%. The man who invented autocorrect should burn in hello. The gilet jaunes protests are geographically portentous- suburban and rural protestors angry at a city that both represents and materially benefits from elites’ decisions on who should pay for climate change mitigation. Green Burgers: Creative Vegetarian Recipes for Burgers and Sides. 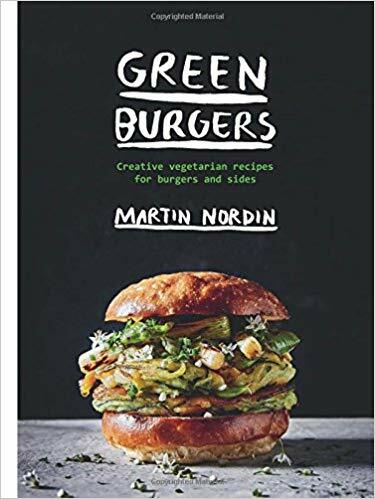 In Green Burgers, Martin shares recipes packed full of flavor and nutrition – from the classic BBQ Portobello Burger to the Zucchini Burger with Wild Garlic. Experiment with unexpected flavours such as Zucchini Kimchi and Deep-Fried Plantain. The delicious patties are just the beginning – try making your own Charcoal Burger Buns, top your burgers with Purple Cabbage and Apple Sauerkraut, and serve with Roasted Sweet-Potato Fries. Thank you for the link to a high-quality version of A Trip Down Market Street! When I first saw the Advent Calendar tree, I was sure that it was covered in cockroaches (too many years living in South Texas, I guess). When I went to the site, I found that others had the same first impression.